Throughout the whole year, Rome sees an uncountable amount of tourists. The city’s beauty appeals to everyone. In no other city, you will find so many historical sights on every corner you turn. You will be in awe when you see the fantastic artwork all around the Vatican. Some of my personal favorites include the Trevi Fountain and the ceiling of the Sistine Chapel. But is there a particular primetime for a visit? We Think so. Which is why we explore more on why you should visit Rome in the summer. 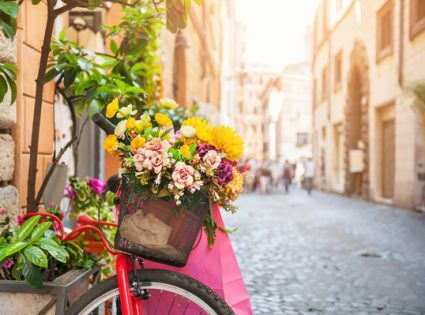 If you are a person who loves surprises, the summer might be the best time to go to Rome. During the summer months, the city hosts several outdoor festivals and events. For example, the Teatro dell’Opera di Roma has an open-air summer programme with various operas and ballet performances. The location for the shows are the Caracalla baths near the Circo Máximo. Like many other cities, there is also be an open air cinema programme for the summer months. For example, at Piazza Vittorio, there will be movies every night. Other locations for a film are Monteverde and Garbatella the programmes are organized by Le Arena di Roma. But the biggest perks about visiting Rome over the summer are the lower rates for many of the tourist sights, accommodation, and food. Unlike what would be expected during the summer months the number of visitors decreases and many businesses lower their rates to attract guests. Also, some of the rare monuments and attractions of the summer only open during the summer. Among these is the Temple of Romulus. Lovers of art will love that many museums offer free hours or discount rates during the summer. And of course, we can’t leave out the beaches and lakes around Rome. Where else would you cool off from the high temperatures?! Less recommendable to take a dip, but closest to the city is Ostia. To go swimming it is better to check out Sperlonga and Terracina which are both easily reachable by train. Last but not least, the lakes Lago Albano and Lago di Nemi are also a great alternative to go swimming. Especially nature lovers will enjoy going here because a beautiful green landscape surrounds the lakes.